"Something has really knocked the heck out of the energy in the larger circle – and somewhat in the smaller circle." 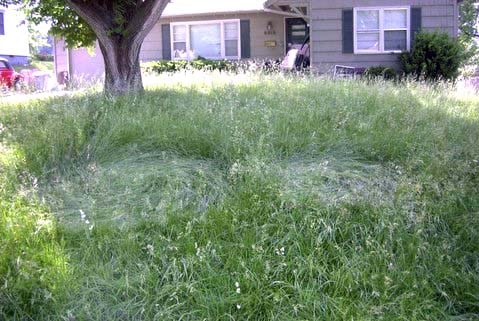 Monday, May 21, 2007, around 4 PM local time in Mission, Kansas, (suburb of Kansas City, Kansas), homeowner James Gravatt discovered two circles swirled in the high native grass of his unmowed front yard. Photograph © 2007 by James Gravatt. Next PostNext Part 2: Yatesbury, England and Madisonville, Tennessee – A Mayan Link?